Daichi Miura – “The Answer” LIVE! Saturday Night Live Special: Wonder Girls!! After being gone for almost a month. SNL is back with a Wonder Girls special for all of you. We will take you back to the girls first single up to their latest one with a special live performances. Going back to this times makes me miss the old WG. But they’re mainstream now and I’m just happy as then. This was actually the very first song that I’ve listened to from the Wonder Girls. And this made me fell for So Hee instantly (that was before). This is the main reason why the Wonder Girls got so famous. Yes I know Nobody can be very addicting but you can get tired of it eventually. The first few live performance of S/mileage’s upcoming single has been aired. So let’s begin with the Melodix performance. They were singing really live. No lip sync here. Though I find Kanon and Ayaka’s voice a little bit weak. But I love the energy anyways. Next is the coverage from Hello! Project’s Golden Week in Odaiba. S/mileage along with C-ute, Mano Erina, and some Hello! Project Eggs performed on the same day. 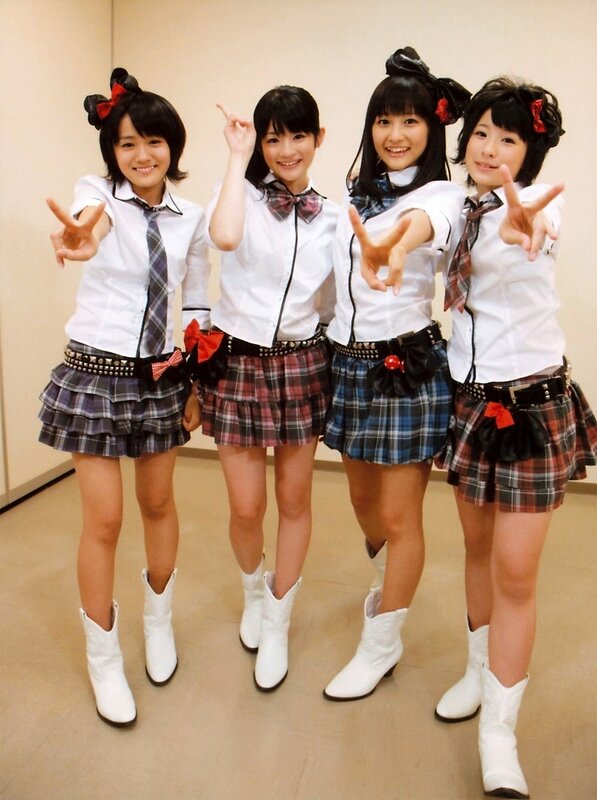 Here’s S/mileage’s performance/coverage. I like how S/mileage is stealing all the C-ute and Mano Erina fans. Yeah but this performance is much better than the melodix. I always wanted to see a live performance of GD and Flo Rida. I find this awesome… super awesome actually. OMG! Who doesn’t want to see GD and Flo Rida together. GD is really small isn’t he? Or Flo is just big. Well anyways this could be a lot better if not for those screaming fans, but they’re not to blame. Having ended their promotions for Run Devil Run last week. The girls took a special guest appearance on Sketchbook yesterday. They performed Run Devil Run as well. Okay so either one or both of these performance are taped. But I’m pretty sure the Sketchbook was taped. The benefit performance is edited so it might be taped. Okay so this week. It’s nothing but F(x). Well they’re something to talk about. After releasing the MV and the mini album a few days ago. F(x) has finally made their comeback with their new track NU ABO. Though I don’t hear a lot of news about it sky rocketing to the top spot unlike SNSD and Kara. But I love this song. This is like their fastest song that I got hooked to. La Chata took me about a month while Chu~ took me about 3 weeks to like. But I love this as the second listening. C-ute Ikiyouze B-side Shock Live!